I love giveaways! Sitting by my computer for hours and entering every giveaway hop I come in contact with is not unusual for me...luckily I do it late at night while my family sleeps! This giveaway is hosted by "I Am A Reader, Not a Writer" and "The Bookish Mama". One thing I LOVE about this giveaway? As the hosts put it: "Your site must be family friendly - no erotica or 18+ sites. Your site & giveaway must be free of steamy images and book covers. If it would embarrass me to have my teenagers see it, it can't be on your site." Hmm...that tells me, more than likely, I will want to enter ALL the giveaways on the linky below! I will have to make my way through the list, just as you will! 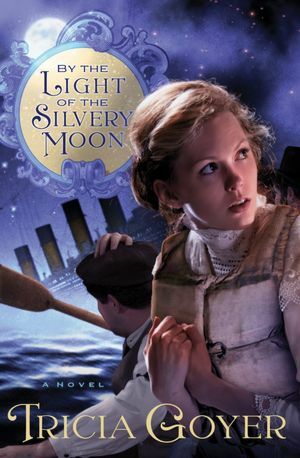 I'm giving away a copy of the book, By the Light of the Silvery Moon. If you're interested in my review on the book, click here. I loved reading this book by Tricia Goyer, the Titanic is always a fascinating read for me! Enter via the rafflecopter below, then make sure to visit the other blogs listed and enter their giveaways as well! Getting to read outside. Thanks for the chance to win! This is a great giveaway. Thank you for the chance to win this book... it sounds really good! I've been trying to read outside after jogging every day this summer! Reading is my favorite summer activity. I love going to the pool with the kids. And reading! My favorite summer time activity is walking. I love walking outdoors! I enjoy Tricia's books and would love to read this one. I like having more time to read in the summer but it's too hot to read outdoors. I love sitting under the ceiling fan in the AC! Thanks for giving away By the Light of the Silvery Moon. 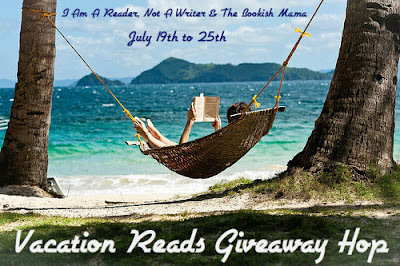 I would love to win Tricia Goyer's book, Light of The Silvery Moon. Please enter me in contest. Playing at the beach around San Diego with the family. For this year though since we won't get to the beach it has been going to the pool and zoo with the kids. Sleeping in after reading late into the night! Reading in an air conditioned room! Reading and relaxing at the beach or by the pool.. I love spending my time reading from my Kindle. I also love handheld books, that never grows old. I love having cookouts! Thanks! My favorite summertime activity is picking fresh fruits and vegetable from my yard. There is nothing that can compare to the taste of a sun warmed tomato fresh off the vine. Going to the beach! Chillaxin' with friends, & of course reading! I love to go to the beach! Thanks for this amazing giveaway! I am a new follower on GFC as Suz and I would love to win! I love to stay inside where it is cool and read - Thanks! Evening in the backyard with my granddaughters. Swimming is my favorite summertime activity.